Kris is a developer with a passion for combining technologies to create new possibilities for the people around him. Coming from a Java and GIS background and being a fan of open source software, Kris started working with distributed systems and graph databases in the last couple of years. He’s currently working on visualizing Big Data with the help of Hadoop and Neo4j. Kris has spoken at in-house knowledge sharing events and several local meetups. 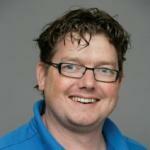 He also has experience doing handson training sessions at the dutch java user group.